1. August 2017. Even if shopping isn’t your cup of tea, a trip to Zhongshan Road is an essential part of any Xiamen itinerary. Teeming with stores, restaurants and cafes, this strictly pedestrianised road offers up a pleasing fusion of European architecture, chattering locals and determined, bug-eyed sales clerks armed with microphones. My first walk down this 1200-meter road came during a boiling hot afternoon and indeed the sun was so fierce most people clung to the covered walkways at the side of the street. 2. August 2017. The street is home to all the usual soulless retail brands, but if you really poke around you’ll also come across trendy little independent stores and inventive eateries and juice stalls. And there are several cute bakeries like this one selling the signature Xiamen Mati pastry. 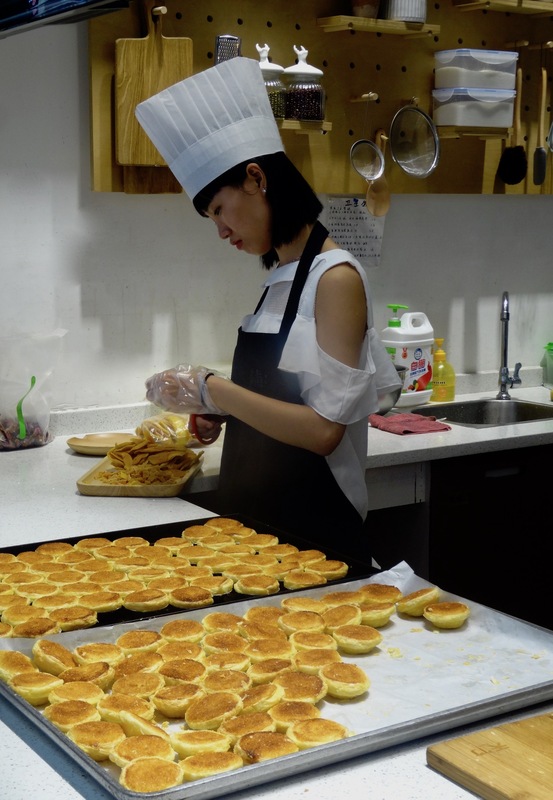 Like most Chinese cakes and desserts they are very dry, but do at least have a sweet filling, which can vary from red date, pineapple and mango to lemon, orange and black bean. 3. August 2017. 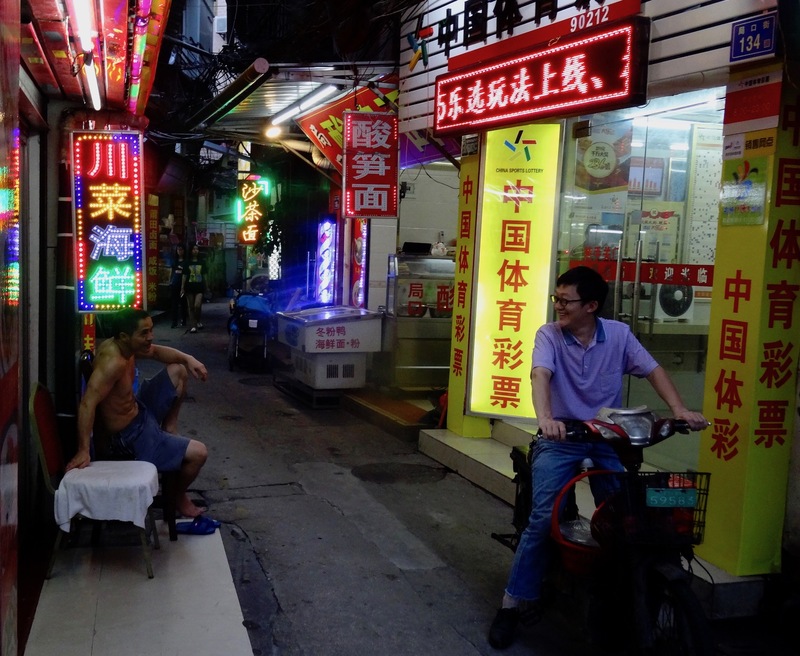 The street really comes into its own at night when it breaks out into a neon blur, with a tantalizing array of street food stalls and poky, plastic-table-and-chairs-restaurants. Just throw those chicken bones on the floor like a local! After much curious browsing, I finally made do with a couple of massive meat sticks from this eternally busy stall. One was made up of large chunks of juicy lamb, the other an equally bulky pagoda of chicken. 4. August 2017. If you’re in need of an icy cold fruit shake, check out the CitiDrink shop on the cross section corner of Xiaxi Road. As an added bonus, you’ll no doubt get to meet one of their patient, appallingly-paid sign holders while waiting for your ginger-mango shake. 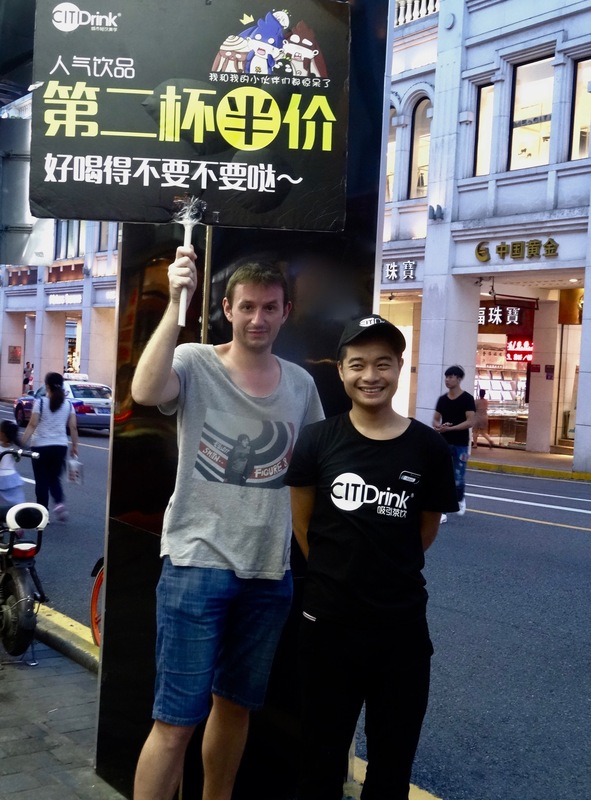 In fact, I felt so sorry for the dude on duty that I offered to hold his sign for a bit and soak up the predictable barrage of “wài guó rén!” (foreigner!) which came my way from just about everyone who passed. 5. August 2017. 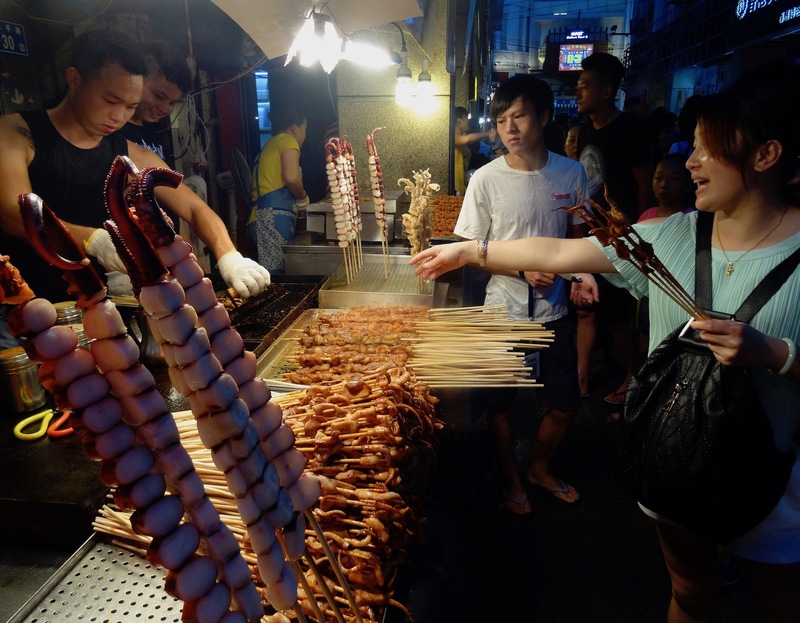 Some of the most interesting food stalls, restaurants and dessert houses can be found in the narrow alleyways running off Zhongshan Road. This is Jukou Jie alley where you can duck and dive between erratic moped drivers and take an unexpected turn or two. Before you know it you’ll be delightfully lost, standing outside a steamy dumpling house looking at the owner’s pet parrots hanging from a series of rusty cages. Ah, China. For more snapshots of this amazing city, check out My 5s from around Xiamen. Or maybe search further afield with my zillion articles from across China. My 5: Bailuzhou Park – Xiamen, China. My 5: Cool Spots Around Gulangyu Island, China.